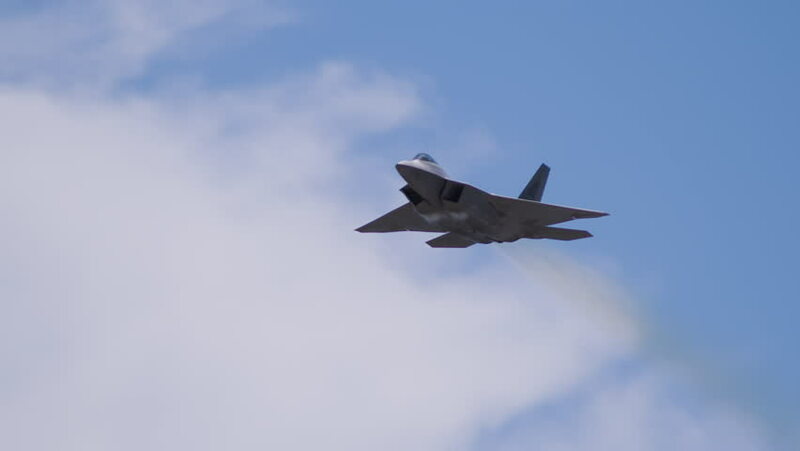 hd00:31QUONSET, RHODE ISLAND - JUNE 2012: Air force F-22 Raptor passing by with good view underneath at the Rhode Island National Guard Open House and Air Show in June 2012.
hd00:16FORT LAUDERDALE - MAY 8: Spirit Airlines passenger jet approaches Fort Lauderdale, Florida on May 8, 2015. Spirit uses South Florida as a major hub. hd00:34SKAVSTA, SWEDEN - AUG 31: Slow motion of a JAS 39 Gripen, a Swedish jet fighter plane in an airshow, August 31, 2014 at Skavsta, Sweden.